Noelle's life is all about survival. Even her best friend doesn't know how much she gets bullied, or the ways her mom neglects her. Noelle's kept so much about her life a secret for so long that when her longtime crush Julian Porter starts paying attention to her, she's terrified. Surely it's safer to stay hidden than to risk the pain of a broken heart. 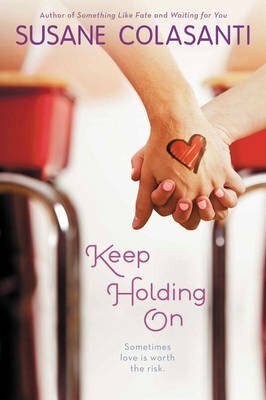 But when the antagonism of her classmates takes a dramatic turn, Noelle realizes it's time to stand up for herself--and for the love that keeps her holding on.